Born in Iowa, Kate Elliott grew up in rural Oregon and learned to clean out stalls and shovel out manure early, thus preparing her for adult life. Over an almost thirty year career she has published twenty five novels (SO FAR), one collaborative novel (with Melanie Rawn and Jennifer Roberson), and a short fiction collection. She’s been a nominee for the Nebula, World Fantasy, Norton, and Locus Awards, and her novel Black Wolves won Best Epic Fantasy Novel in the RT 2015 Reviewers’ Choice Awards. 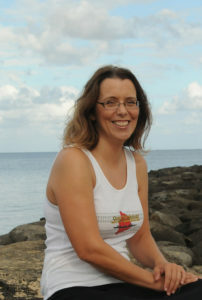 Her spouse’s work as an archaeologist has allowed the family to live in Mexico and in Denmark and to travel, and finally forced her to move to Hawaii where she took up outrigger canoe paddling. And the all important essay “Where Should I Start With Your Novels” (boy band style) can be found HERE. At Dragon*Con 2004, Dr. Demento declared “the great Luke Ski” to be his radio program’s “Most Requested Artist of the 21st Century”. Since then, he held onto that title by having songs on “The Dr. Demento Show’s” annual year-end “Funny 25” countdown of his most requested songs of the year for 15 years in a row, including four of them at #1. His song parodies, originals, stand-up and sketches about pop culture phenomena made him a favorite performer at science-fiction and fandom conventions all across the Midwest and beyond. He’s released eleven albums and a DVD over the past twenty+ years, many of which feature collaborations and cameos by his fellow comedy musicians of the Funny Music Project, a.k.a. the FuMP dot com. He has won two awards for Outstanding Parody Song at the Logan Whitehurst Memorial Awards For Excellence In Comedy Music. He has performed at San Diego Comic-Con, Star Wars Celebration, Dragon*Con, WorldCon, NASFIC, Creation’s 40th Anniversary Star Trek Convention, GenCon Indy, Origins, Nerdapalooza, Orlando Nerd Fest, and many more. He also is the chair of the comedy music track at MarsCon in the Twin Cities, and the co-chair of FuMPFeST in Chicago. 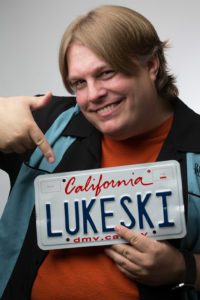 Luke Ski currently lives in Burbank, California where he works as a writer, storyboarder, and voice-over artist on the Cartoon Network Original series “Mighty MagiSwords”. 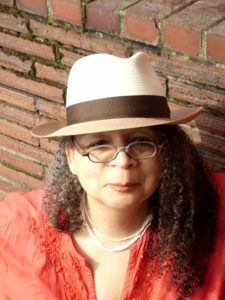 Nisi Shawl co-wrote Writing the Other: A Practical Approach, the go-to instructional text on representing characters of differing racial, religious, sexual, etc. backgrounds. She’s a founding member of the Carl Brandon Society, a nonprofit supporting the presence of people of color in the fantastic genres. Her story collection Filter House co-won the 2009 Jame Tiptree Jr. Award, and her 2016 debut novel Everfair was a finalist for the Nebula, Locus, and Campbell awards. Though she now lives in Seattle Nisi is a native Michigander, and the first science fiction convention she attended was ConFusion 101. I’m the Tech Culture Editor at Ars Technica, and the founding editor of io9. Previously, I was the editor-in-chief of popular tech site Gizmodo. I’m the author of Scatter, Adapt and Remember: How Humans Will Survive a Mass Extinction (Doubleday and Anchor), which was a finalist for the LA Times Book Prize. My first science fiction novel, Autonomous, will be released from Tor in September 2017. My nonfiction has appeared in The New Yorker, The Atlantic, Wired, The Smithsonian Magazine, The Washington Post, 2600, New Scientist, Technology Review, Popular Science, Discover and the San Francisco Bay Guardian. 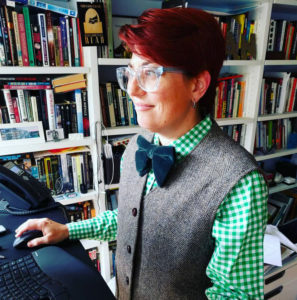 I’m the co-editor of the essay collection She’s Such A Geek (Seal Press), and author of Pretend We’re Dead: Capitalist Monsters in American Pop Culture (Duke University Press). Formerly, I was a policy analyst at the Electronic Frontier Foundation, and a lecturer in American Studies at UC Berkeley. I was the recipient of a Knight Science Journalism Fellowship at MIT, and have a Ph.D. in English and American Studies from UC Berkeley. 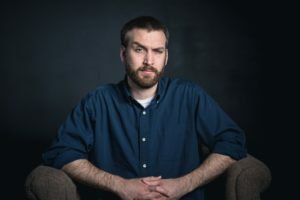 James Breakwell is a professional comedy writer and amateur father of four girls, ages seven and under. He is best known for his family humor Twitter account @XplodingUnicorn, which boasts nearly a million followers. The account went viral In April 2016 and transformed James from a niche comedy writer into one of the most popular dads on social media. Since becoming internet famous, James has been profiled by USA Today, US Weekly, The Daily Mail, Metro, The Telegraph, Cosmopolitan, Better Homes and Gardens, Buzzfeed, Huffington Post, Upworthy, TheChive, Bored Panda, 9gag, CollegeHumor, various ABC and Fox TV news affiliates, and countless other TV, radio, and internet outlets. Pictures of his smiling girls have been displayed in newspapers as far away as India. His articles have appeared in Reader’s Digest, The Federalist, and AskMen. He has been a guest multiple times on HLN’s The Daily Share. Closer Magazine named James its 2016 Blogger Dad of the Year. In 2017, he was a finalist for a Shorty Award in the parenting category. James’ first book, Only Dead on the Inside: A Parent’s Guide for Surviving the Zombie Apocalypse, releases October 10 with Benbella Books.